This Racoons needlepoint design is by the artist Anna See. The needlepoint design area measures 11" x 8". 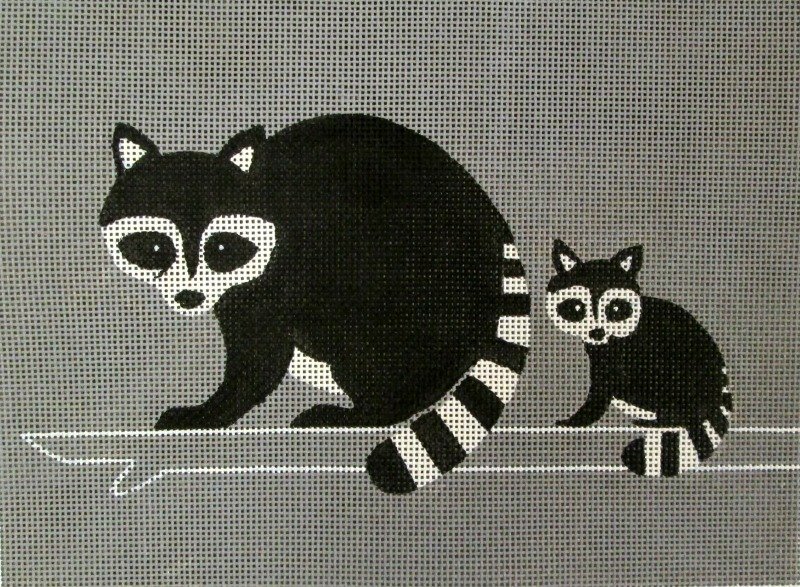 This easy Racoons needlepoint kit comes with or without fibers. If you select cotton we will send DMC cotton floss. For wool and silk we use Planet Earth boutique fibers which are singly-ply for 13 mesh and easy to stitch with. If you require stretcher bars we recommend a pair of 12" and a pair of 15". This easy needlepoint canvas usually ships within 1 week.